April is Child Abuse Prevention Month, a time to acknowledge the importance of families and communities who work together to prevent child abuse and neglect. Volunteers of America of Illinois is dedicated to providing the children we serve with a safe, nurturing, and happy home. This year we are creating a garden of HOPE, full of pinwheels to raise awareness and support for the children we serve every day. 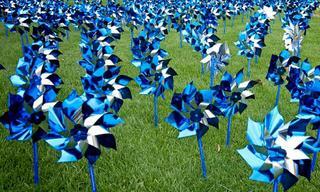 Pinwheels are the national symbol that represent hope for every child to grow up in a home free of abuse and neglect. Will you join us by purchasing a pinwheel to raise awareness and funds for the children we serve in our child welfare services program? Pinwheels can be purchased here and all funds raised will go directly to helping provide better lives for the children we serve.